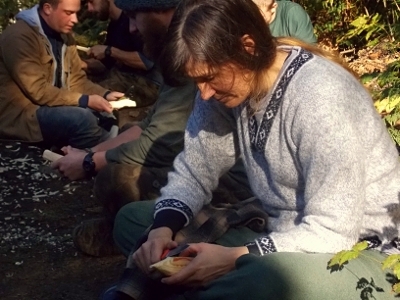 During week 6 of the Wilderness Certification Program, our students learned about the different identification methods for determining which family a native plant is in; how to properly carve and care for their knives; and how to trail elk in a forested environment. We began our class week with a day full of more advanced carving techniques and knife care tips and techniques . Since the students use their knives on a daily basis, we find it necessary to continue to give them instruction on how to properly use them. Here student Andrea puts into practice some of the techniques that she learned during the class by carving a wooden dagger for practice. 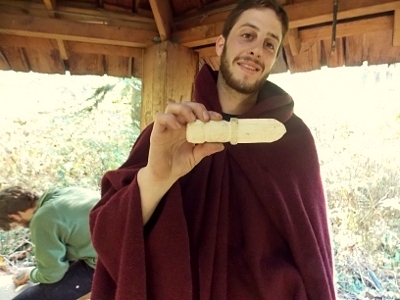 Here student Eric displays his dagger finished product. On Wednesday, the class shifted gears to an ethnobotany focus and learned how to more easily identify plants out in the field. With thousands of wild native plants located in our area, we teach the students how to easily subgroup plants into families for easier identification. For example, if a plant has leaves growing opposite of one another and it has a square stem, it's more than likely in the mint family. So instead of searching through all of the plants in a field guide for identification, the search is dwindled significantly by narrowing it down to searching through the mints only. 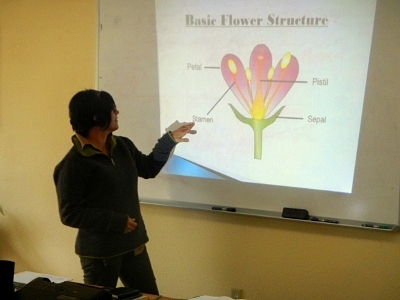 Here instructor Georgie teaches the class the basic components of a flower. After the instruction, the students take to the library to utilize our extensive collection of ethnobotany books and plant field guides to hone their skills. 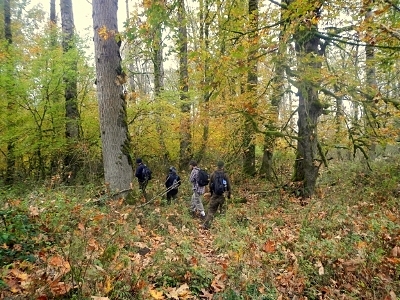 To cap off the week, we all headed out to North Bend, WA to learn how to trail elk through the forest. Since the elk have superb senses of smell and hearing, we instruct students on how to properly dress, mask their scents and move through the forest while trailing without being detected. It's always an exhilarating experience for the students to get this close to wildlife without disturbing them from their natural activities. Below we see one of the groups fresh on a trail made earlier that day. 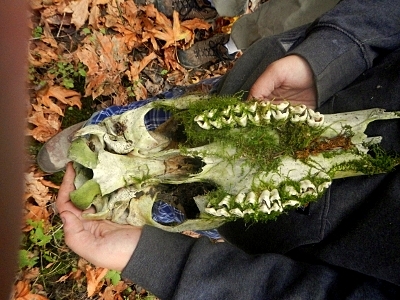 Here a student displays an old elk skull found lying along the trail. 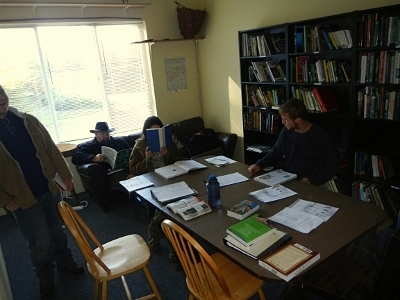 All in all, it was a very educational and fun week at the Alderleaf Wilderness Certification Program during week 6. Stay tuned for the week 7 blog about our class field trip to the sagebrush deserts of central Washington.